This spring he claimed that California was in the middle of a roaring comeback. Has he ever been here?  Read coverage of our Legislature? Read the Census Bureau’s declaration that the Golden State has the worst effective poverty rate of any state? His blathering led to a harshly funny response from a professor who actually does know California because he lives here, Victor Davis Hanson, writing for National Review Online. Now Krugman is at it again, suggesting Covered California is doing so well that it’s a confirmation of the glory that is Obamacare. And once again his blathering has inspired lots of sharp responses, this time including from other East Coast folks. 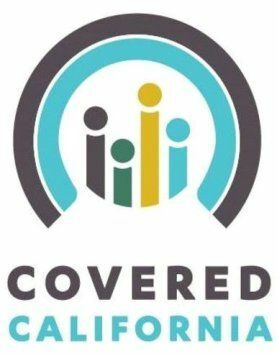 D.C.-based health-policy blogger Robert Laszewski, for example, notes that the Golden State is on track to have far fewer people covered by insurance than it did before Covered California began accepting applications. “–California has 5.3 million uninsured eligible to buy in the exchange with half estimated to be subsidy eligible. “–California is cancelling another 1 million people of which Covered California has estimated hundreds of thousands will qualify for a subsidy they can only get if they go to Covered California. At least 80% need to act by December 23 to avoid losing their coverage. “–The state is spending $250 million in federal money to get people signed up––dramatically more than any other state. “–The Covered California goal is to sign-up 500,000 to 700,000 subsidy eligible people by March 31. And here’s a funny point: California Sen. Dianne Feinstein, a Democrat, can’t think things are going well with the Obamacare rollout in her home state or she wouldn’t have endorsed this bill. Krugman declaring success for a state health insurance exchange that will lead to fewer Californians having health coverage isn’t the only example of the amazing rhetorical baloney-fest surrounding the Affordable Care Act. We were told that it would sharply cut health-care costs for the average family of four. Now as reality demolishes this promise, the MSM rarely even bring it up. We were told there wouldn’t be de facto “death panels” deciding what medical procedures would be denied to the very sick. Now even the MSM treats this as a given. I could go on and on in this vein. But the larger point that needs to be made is this is Orwellian manipulation of the American public. The most profound policy change in the United States in decades was imposed by the narrowest of margins only after a sophisticated concert of lies. And as for the people who compare this with George W. Bush/Iraq/weapons of mass destruction, the ACA Deceptathon is even worse. Bush 43 was a disaster in many ways, but at least he had foreign and U.S. intelligence agencies backing him up on WMDs. Obama had his own administration telling him in 2010 that “if you like your policy, you can keep it” was just not true. 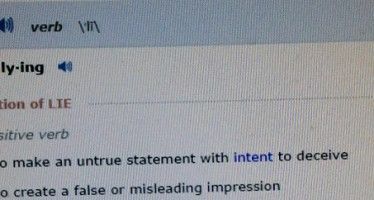 But he kept peddling the lie until the cancellation notices made it impossible to keep asserting. Finally figured it out. The bearded nebbish is not an economist (though that statement is readily apparent to anyone who took Econ 101), but an Historian. His economic views are straight from the 1930s. And his views of California are lifted from 1960s Beach Boy album covers. Econ 101— LMAO Jimmy still lives in a high school/JC dream fantasy!!! You’re briiiiiiiiiilliant Jimmy!! Teddy….Have you ever thought to comment on the actual material presented, rather than simply making juvenile comments about the commenters? I mean, speaking as you were of high school…..
Oh please, Teddy has never made a decent comment in his trough feeding life, he just regurgitates the left wingnut talking points. Krugman is a cheerleader for the oligarchs. He loves bailouts. He loves QE. He loves deficit spending. He loves big gov. He loves the gov/corporate medical industrial complex. Did you notice in his OpEd he never questioned how many of the Covered California enrollees are full-paying customers versus heavily subsidized or freebie customers? Naturally, this is a CRITICAL consideration for the survival of any insurance risk pool. 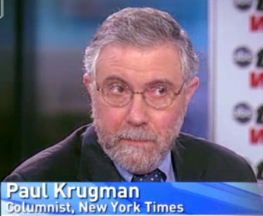 But as a nobel prize winning economist – it seemed to fly right over Krugman’s head. lol. Naturally, Krugman must know that if the health insurance companies don’t hit their benchmark profit targets under ObamaCare that the taxpayers are mandated under the ACA law to bail them out and make them whole. How’s that for a ‘free market’ economy? lol. But Krugman didn’t mention that either. These elitist spokesholes specialize in smearing lipstick on pigs. They love gullible minds. The web site works….get over it……the government says so……. Well, the deadline has arrived: Nov. 30. HC.gov is supposed to be fixed. Yet I see nothing in the news to indicate any change for the better. But there is a video of the latest “knockout game” victim in NYC. I guess it’s just meant as a diversion to keep our minds off the doomey stuff. Quite a country we live in. Cheery post as usual Collapse…..is there anything out there good/beautiful/inspiring? Yeah. The “knockout game” victim survived. Wish I could be so optimistic about ObamaCare. Maybe if Obama used reverse psychology and instead promised that everyone would lose their healthcare plan, even if they liked it, and by some fluke 10% kept their health care plans – he would end up being a national hero and Time Magazine’s “Man of the Year” again. But being an outta the box sorta thinker, don’t look for me to be his next HHS Secretary. Collapse…..where do you hang your Christmas stocking….lots of us would like to cheer you up Bro!